This line is closed. It was famous for the trains running from Tyne Dock to and from the Consett iron and steel works. Short sections remain open at Washington and Tyne Dock. The works at Consett are now closed. This line served the considerable Consett iron and steel works. Howns Gill viaduct between Consett & Rowley (now part of the Stockton and Darlington Railway) replaced inclines with viaduct in 1858 - by Thomas Bouch - butresses added after tay bridge disaster. 1867 Derwent valley to Scotswood - doubled between Scotswood and Durham for much of length. 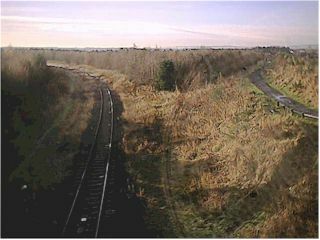 Washington, looking south over the former junction between the lines to Darlington and Consett. The line remains open at Washington as part of the mothballed East Coast Main Line route from Ferryhill to Gateshead. From here to Consett the line is a cycleway. The station here had a very large signalbox. 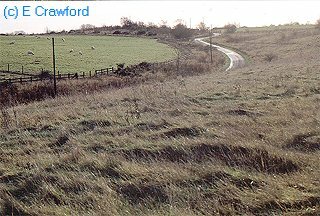 More or less the site of the former Low Gill yard, used by the Consett Iron and Steelworks. Low Gill was the marshalling yard for the Consett Iron and Steelworks. 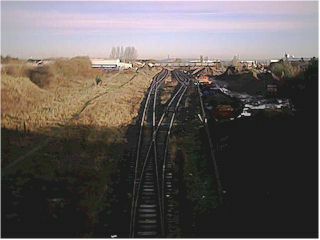 Both the site of the yard and of the works have been landscaped and it is difficult to find much remaining of either.